This week in storytime, we celebrated Halloween a tad bit early by having a Halloween Parade!!! I made up these invitations and handed them out at the end of storytime (and Babygarten!) for the past month. While we did get a few newcomers who showed up without a costume, most of my regulars were present and accounted for and dressed up for the occasion! We met in the storytime room for a quick story, then we trick or treated around the library! 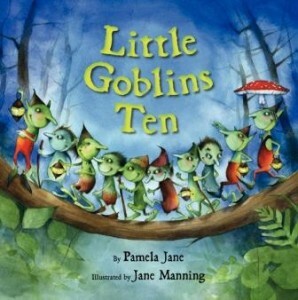 And I have a confession to make: Over the weekend, I had not one, but TWO separate nightmares about this storytime going horribly wrong. It was not an auspicious sign, let me tell ya. However, I’m happy to report that nothing went wrong in the actual storytimes. Everything was wonderful! 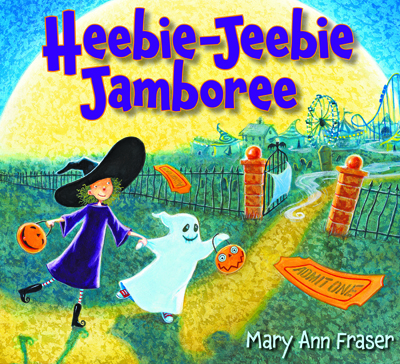 This is a very cute story about two little trick or treaters who get to go to the heebie-jeebie jamboree. They enjoy the Halloween festivities, but end up getting separated in the fun crypt. After spending some time searching for one another, they find each other at the end. The kids loved helping me find the little ghost on the pages! Closing Song: Children, Children, Turn Around. After our closing song, we handed out the traditional coloring pages and stickers (that we give out at the end of every storytime), and the not-so-traditional candy bags! Then we formed a line and began our trick or treat trip around the library. The kids loved it! The parents loved it (many took pictures)! And my coworkers loved getting a chance to interact with the storytime group too! 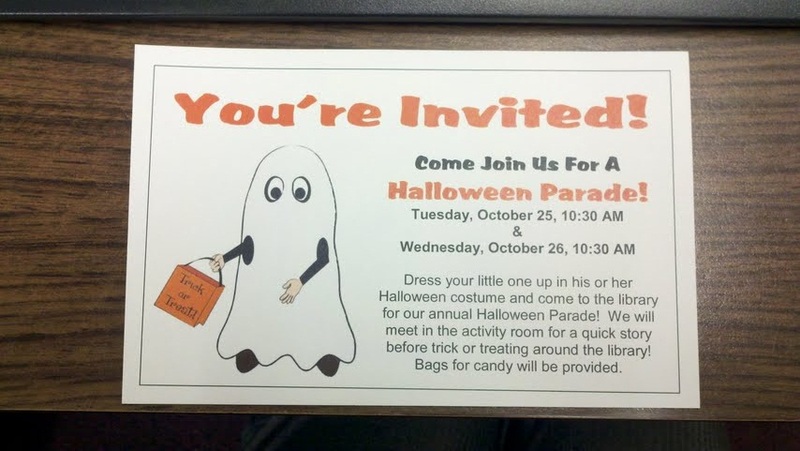 I would definitely recommend a trick or treat trip around any library! Flannel Friday! Baby Kangaroo, Where Are You?